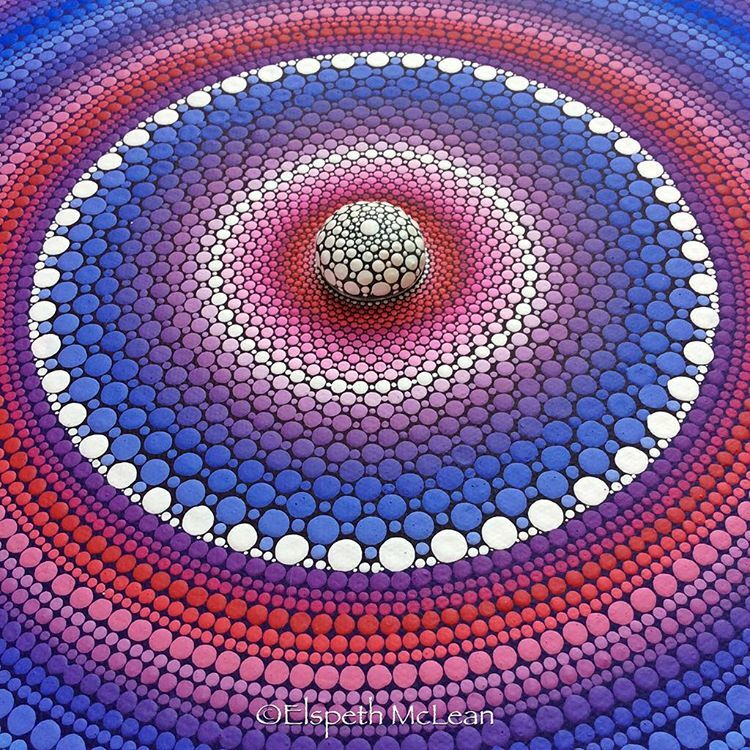 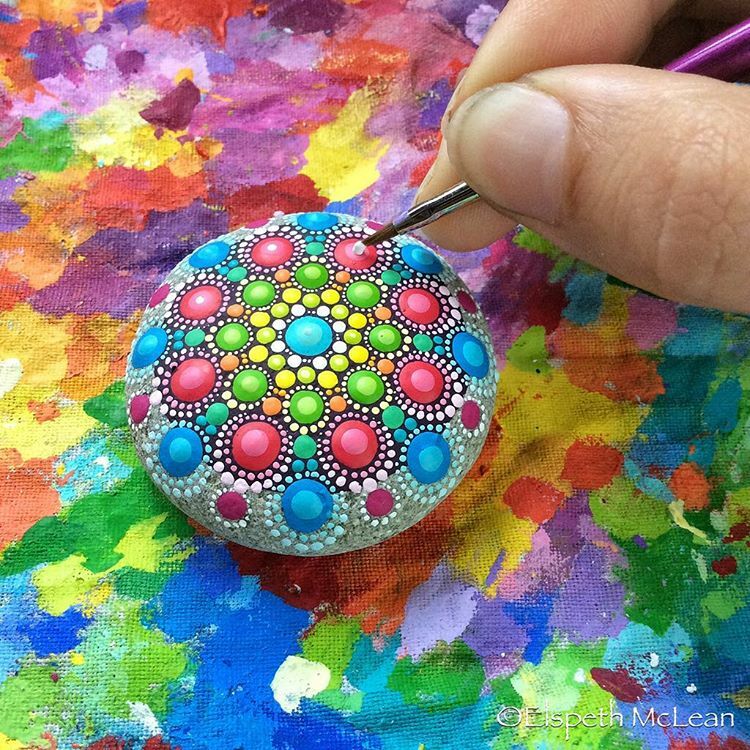 Australian Artist Elspeth McLean has become very well known for her dot drawings, which she calls Dotillism, inspired by stippling, the drawing technique. 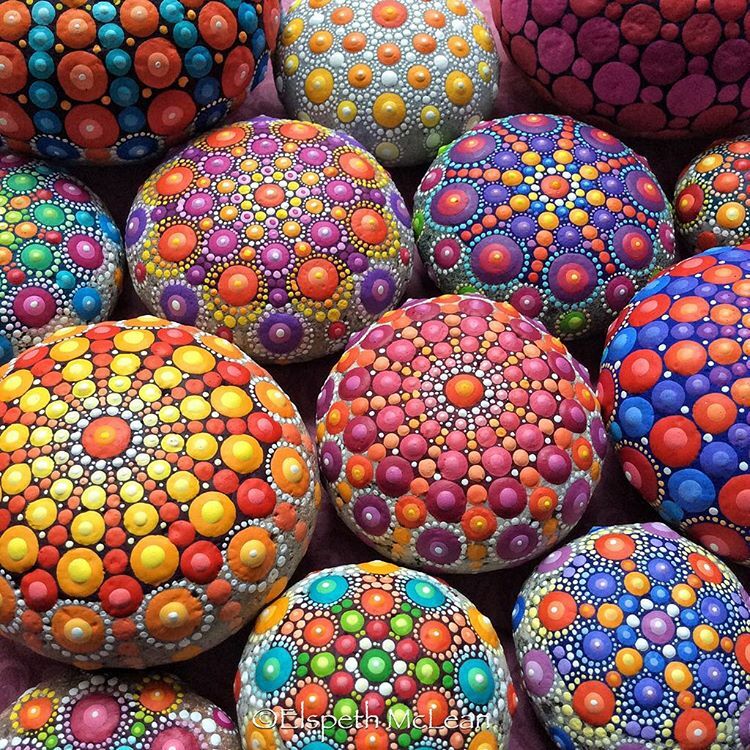 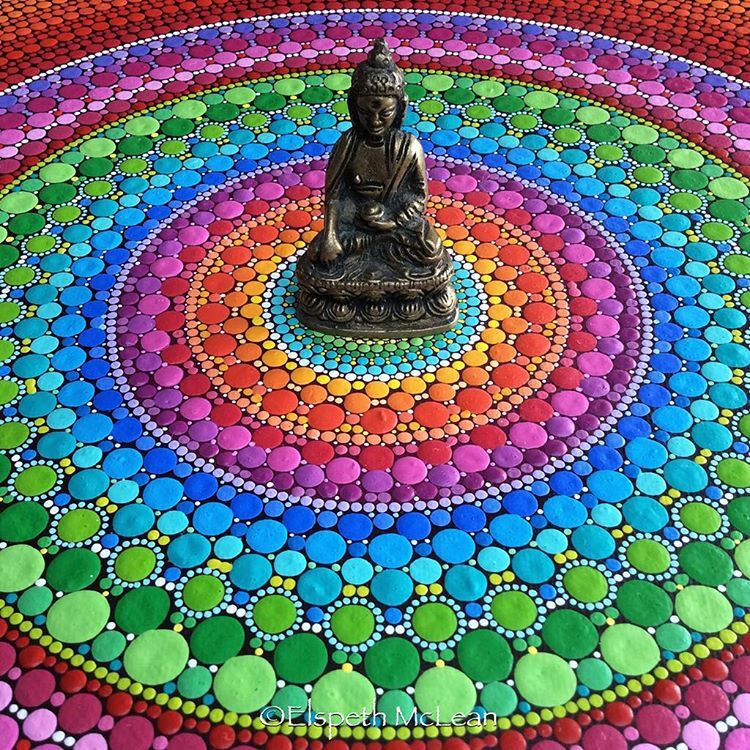 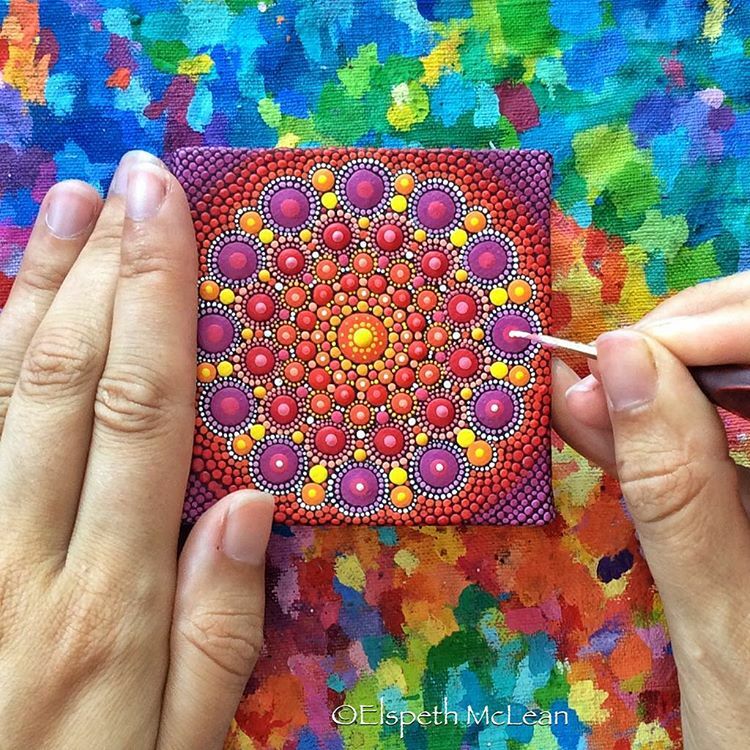 She draws Mandalas - ritual religious symbols, initially found in Indian Religion. 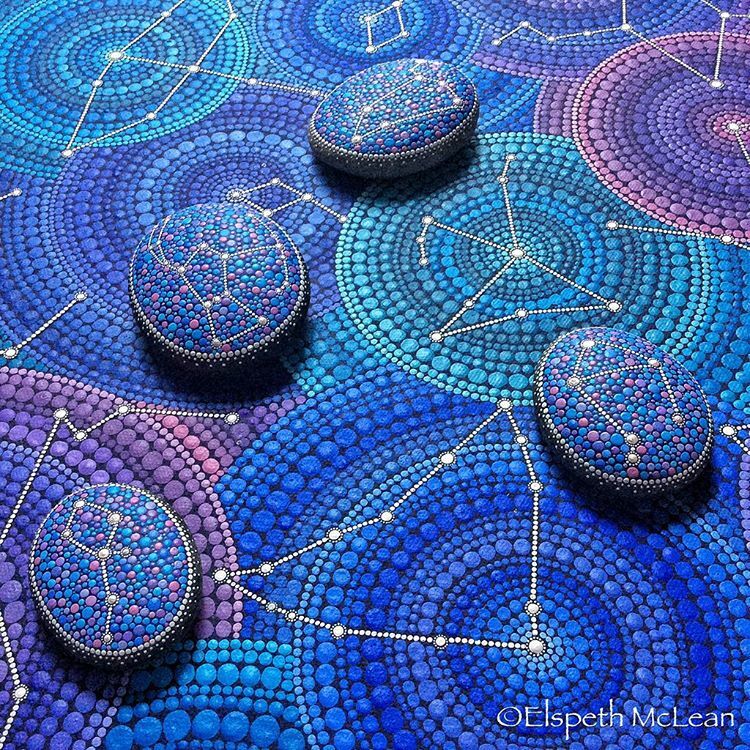 They are supposed to be a representation of the universe and all things in it. 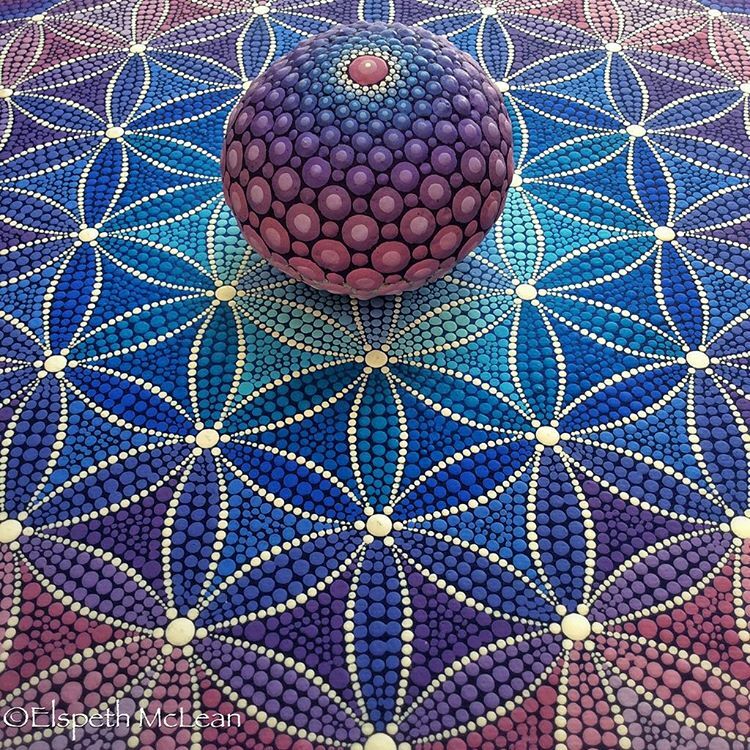 Lately, the word symbolises concentric symmetric geometric patterns, loved for the their artistic complexity and beauty. 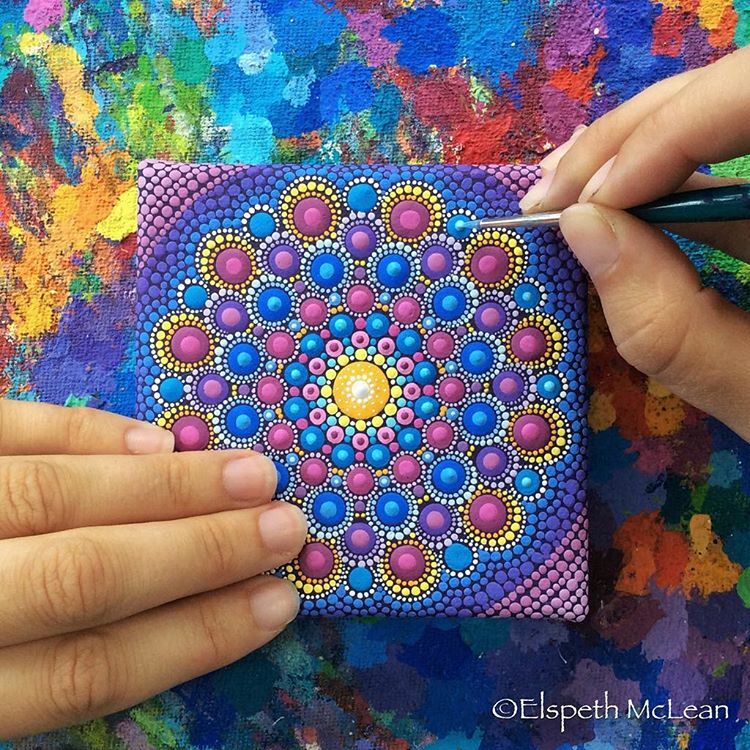 An important aspect of McLean's acrylic paintings, is not just the complex pattern, but also the use beautifully complimentary, vibrant, colors she uses. 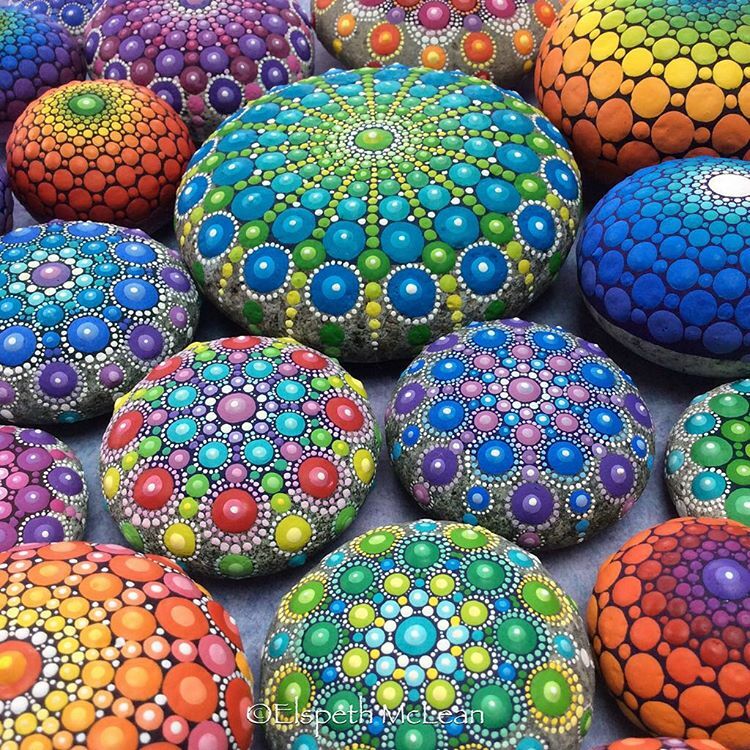 See how they are made in the Videos below. 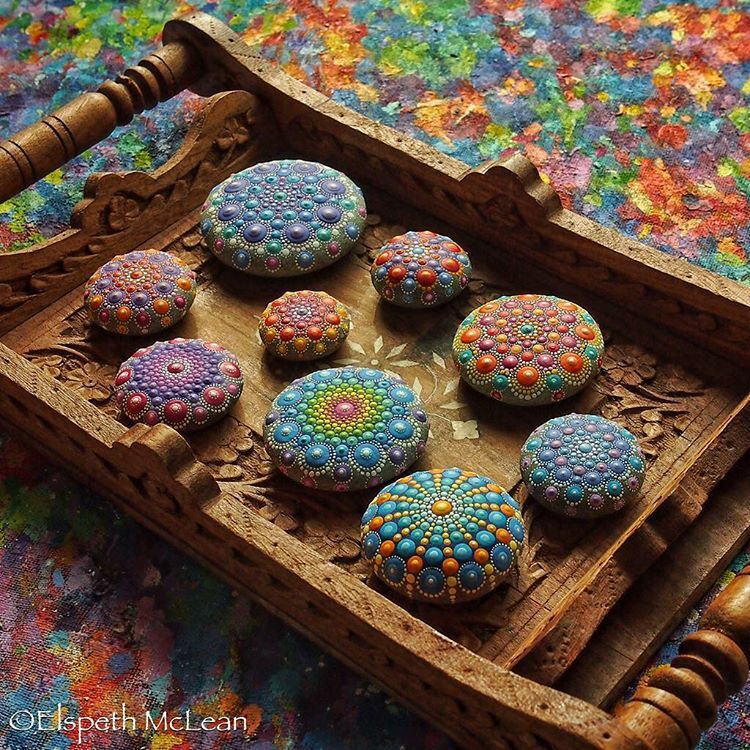 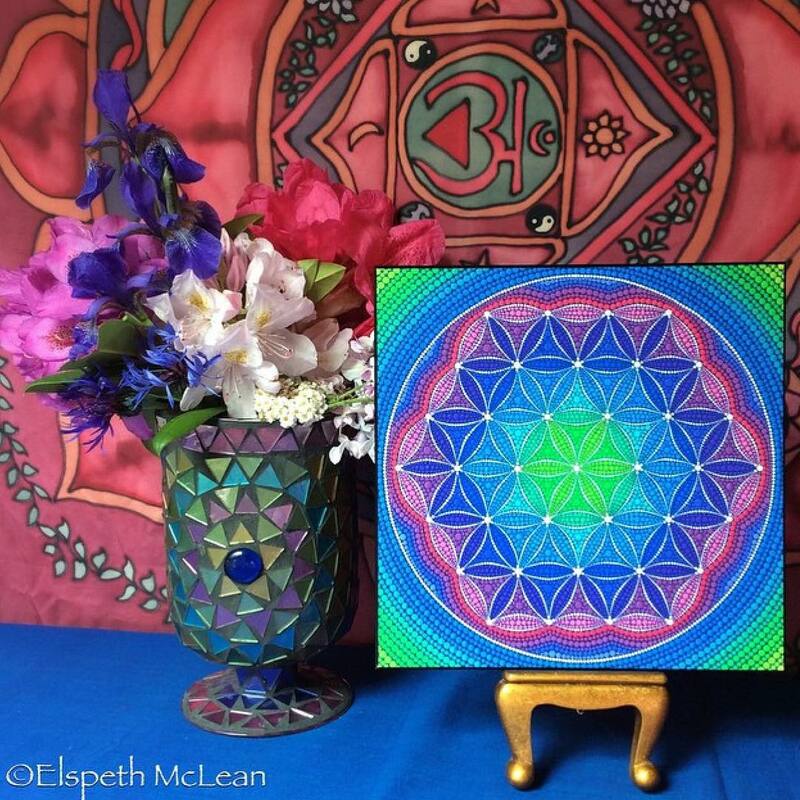 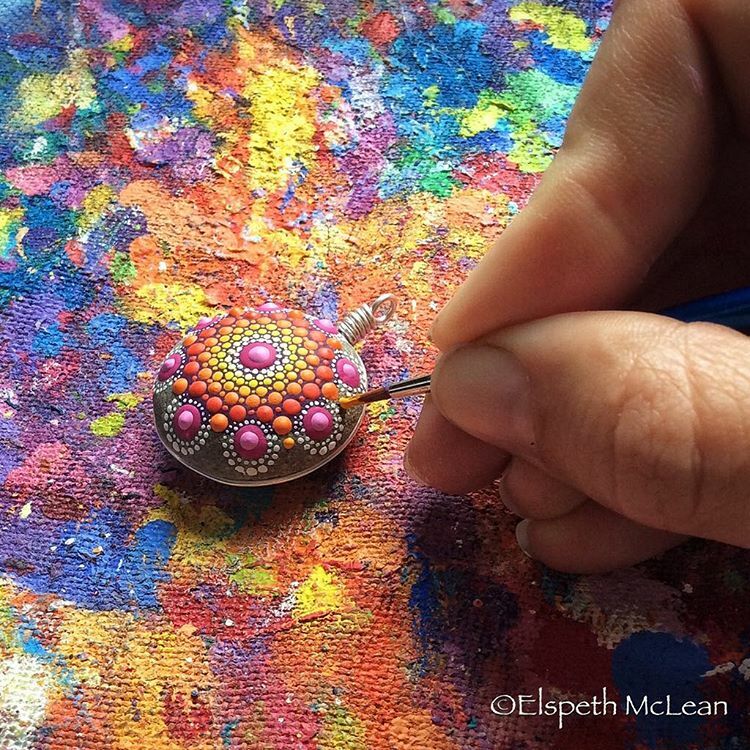 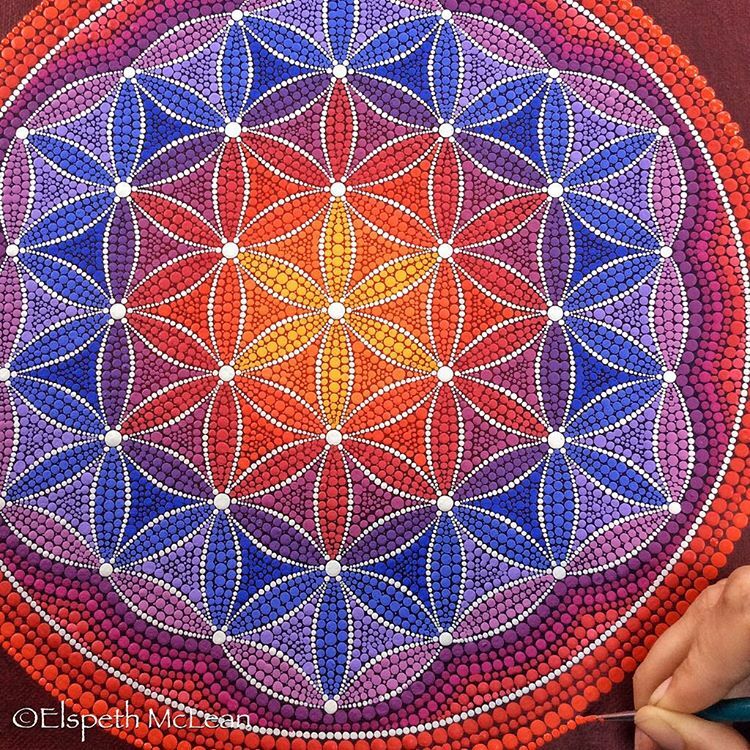 Elspeth McLean painting a Jewel Drop Mandala Stone. 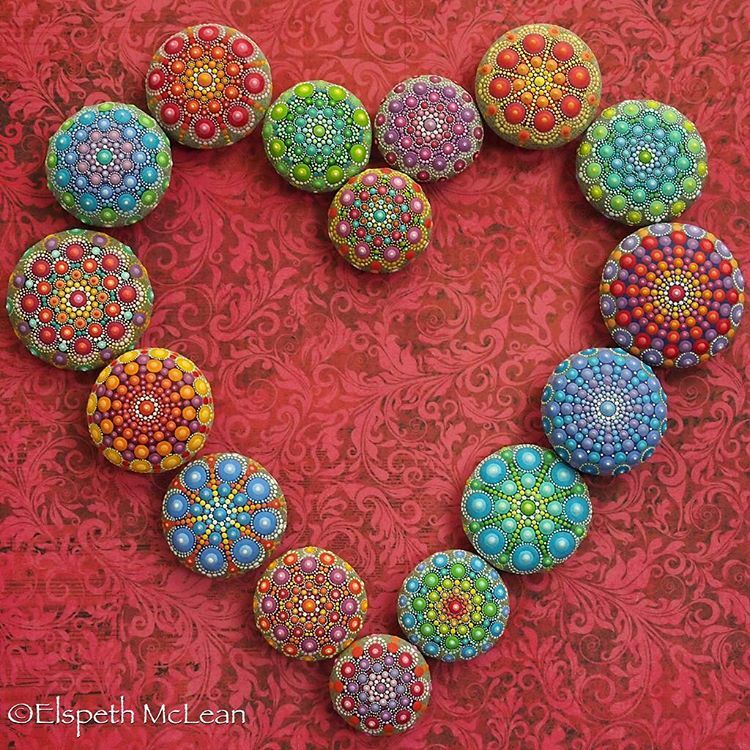 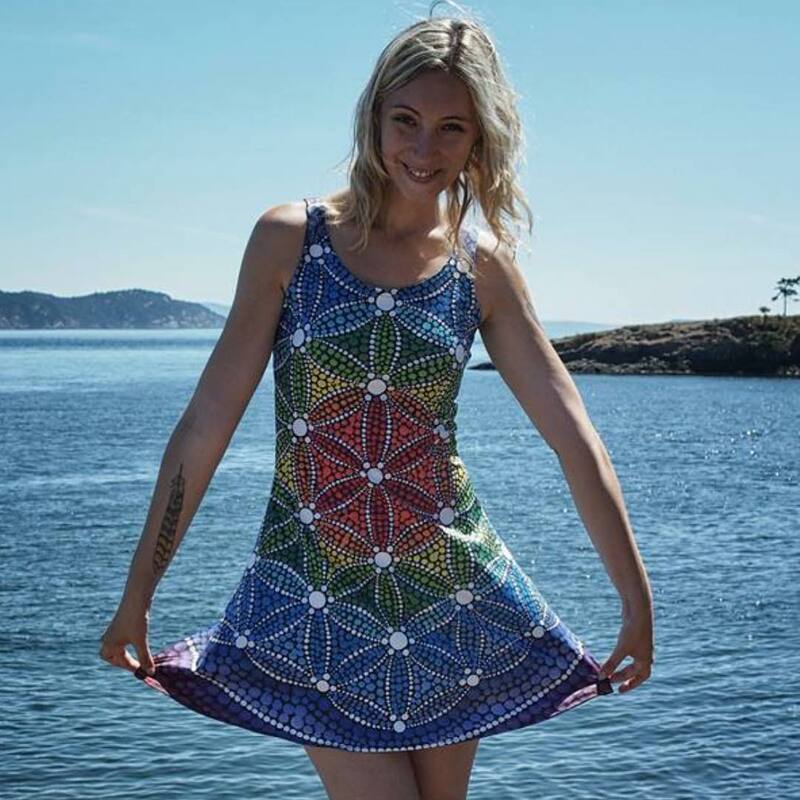 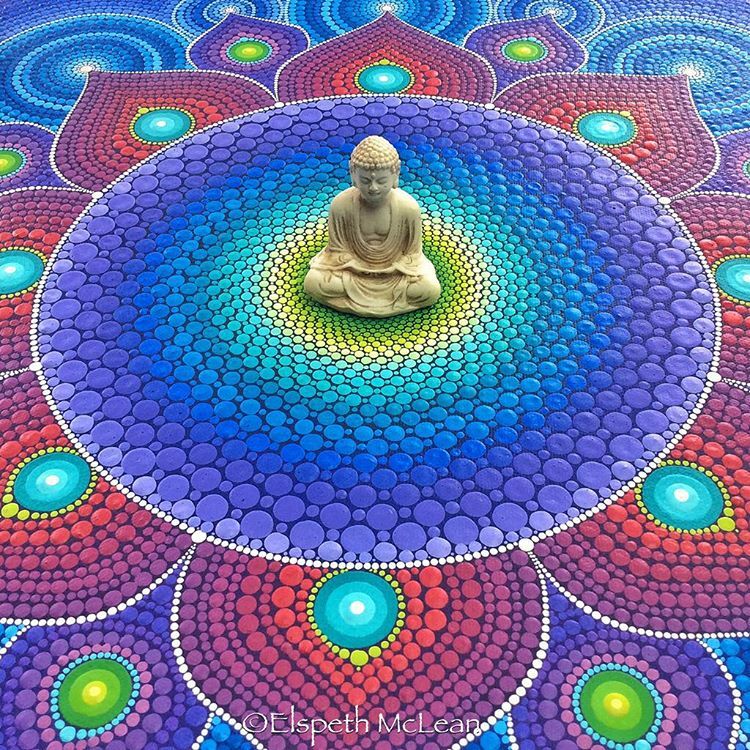 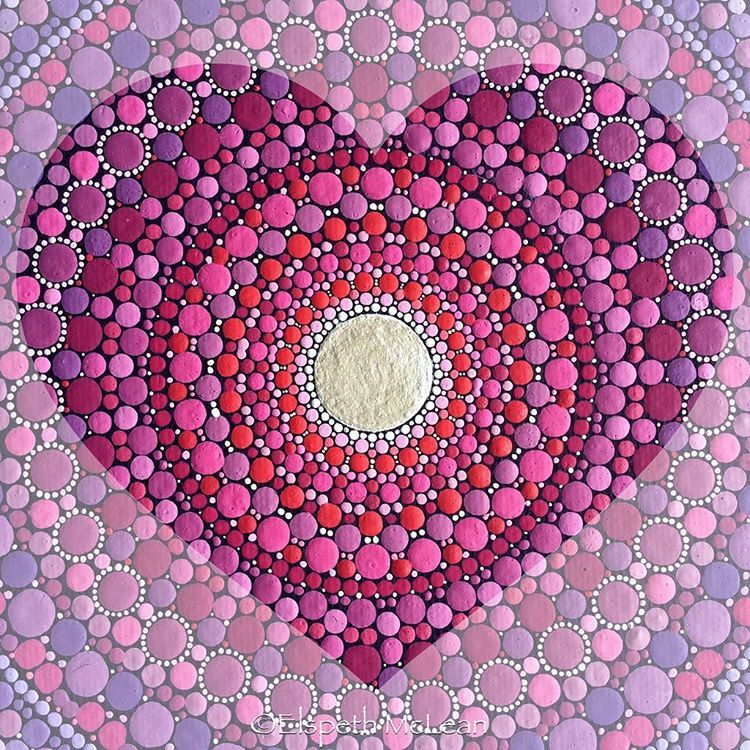 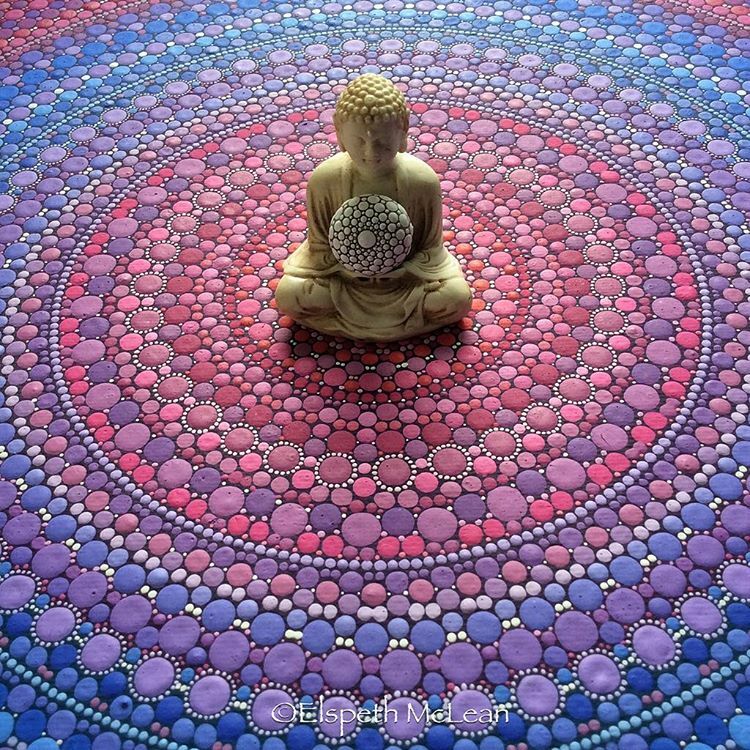 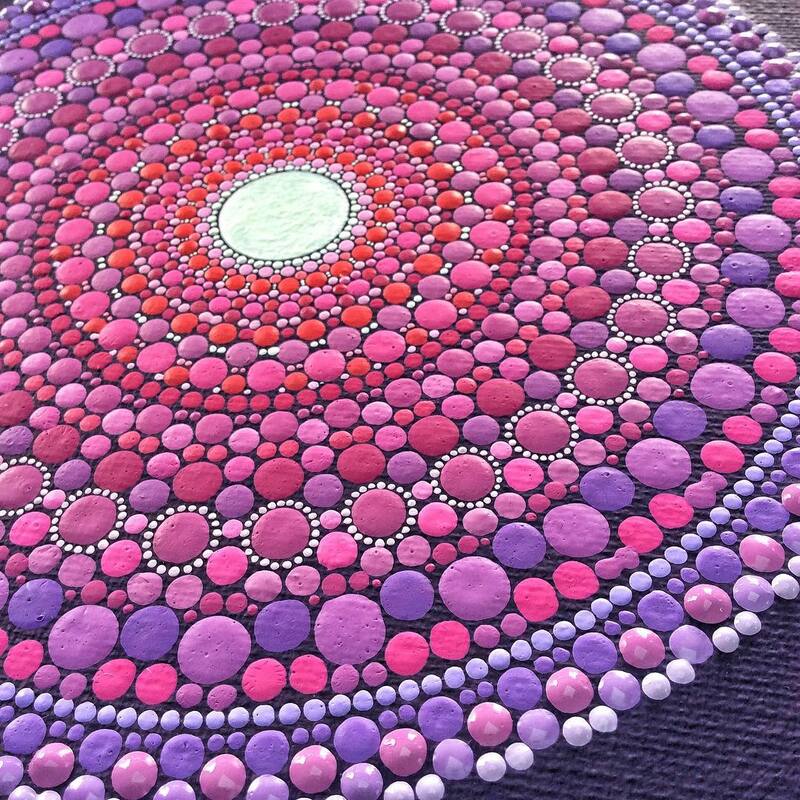 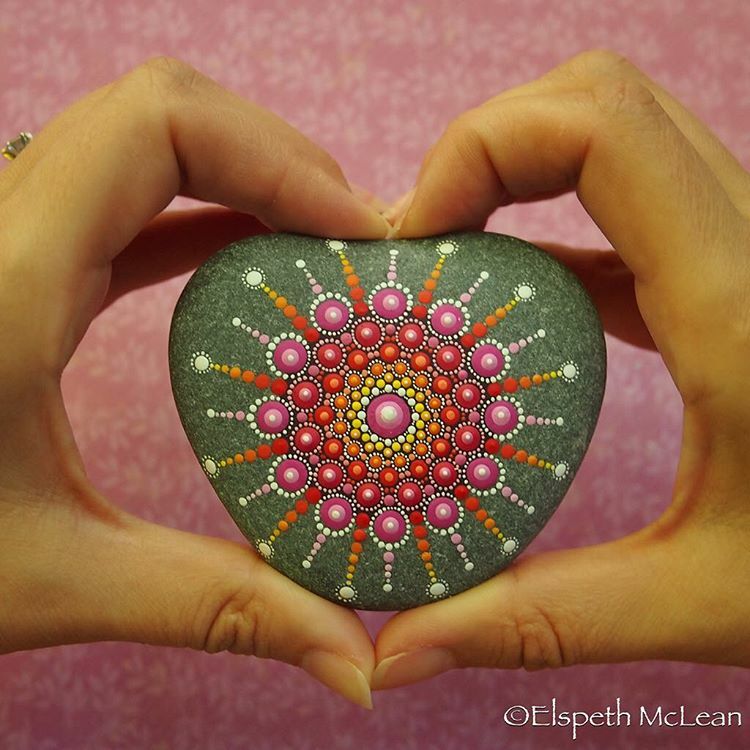 Stop motion mandala stone by Elspeth McLean music by Adam Dobres and Jason Lowe. 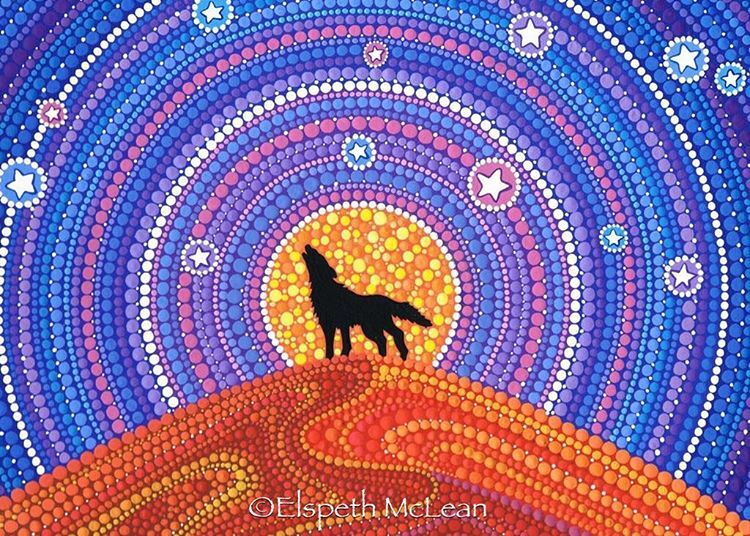 Thank you very much for your comment, keep following us, much more to come. 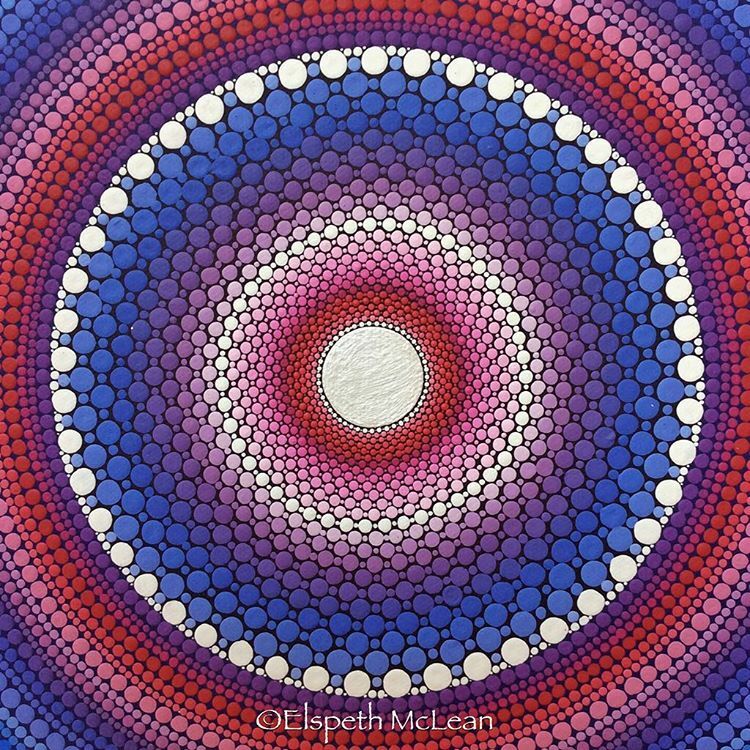 I hope you have a fantastic week ahead.